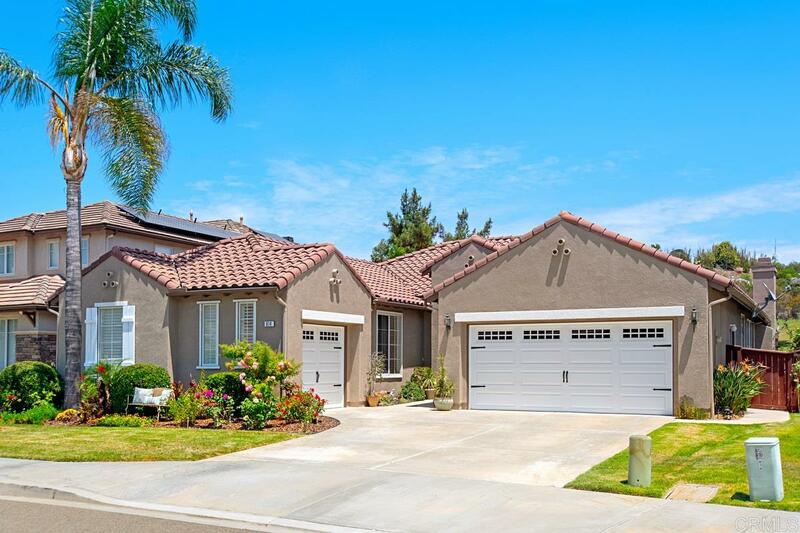 Stunning updated single story home w/ breathtaking golf course & hillside views. Located on the 16th hole of Twin Oaks Golf Course this highly upgraded home features kitchen w/stainless appls, granite counters, white cabinetry, crown molding, & volume ceilings w/picturesque views from every window! Expansive master suite w/access to lush backyard w/mature landscape, garden, patio, grass area & views! 3 additional bedrooms, 2 car garage, laundry room & more! Community pool, parks, & low HOA. Close to all!, WELCOME TO THIS ABSOLUTELY STUNNING HOME WITH INCREDIBLE GOLF COURSE AND HILLSIDE VIEWS. Located on the 16th hole of the highly acclaimed Twin Oaks Golf Course, this ranch style home boasts an open floorplan with tall ceilings and beautiful upgrades throughout. Enter through foyer and step down to an expansive Living Room/ Dining room with picturesque views from every window. Gourmet Kitchen features gorgeous granite, updated custom designed cabinets, stainless appliances and breakfast bar. The Family Room boasts a cozy fireplace and golf course views with backyard access. Master Suite features dual sinks/vanities, walk in closet and entrance to private backyard which boasts incredible views, courtyard, grass area and side yard with garden. Community features include pool, parks and low HOA/Mello Roos. Ideally located near shopping, schools, freeway and more! Award winning San Marcos School District.